Sunday services at 10:00 - 11:00 AM. Join us each Wednesday for Community Connection 6:30 - 7:30 PM. Check out our Facebook page for updates, activities, and notices! We are people of faith! With limited funds we are covenanted to provide meaningful worship and spiritual support with the community. Unalaska is located in the Aleutian Island Chain 800 miles from Alaska's main city, Anchorage, and is home to the International Port of Dutch Harbor. Approximately 4,500 full time residents live, work and play in this busy and diverse community. If you are looking to contribute financially to our mission, you may do so through our Advance. We need support from partners and affiliate members such as you! 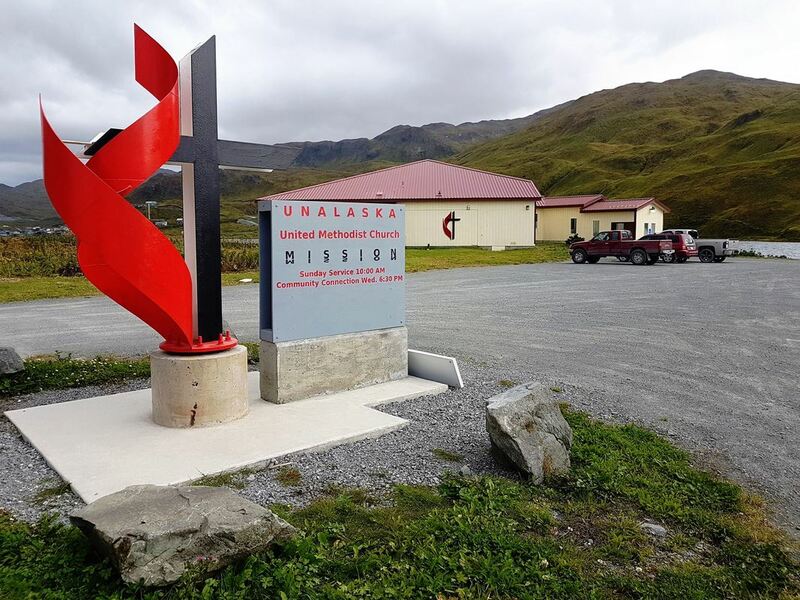 Unalaska United Methodist Church comes out of an old Methodist Mission in Unalaska that had it start in the late 1880's. With the help of donations from other United Methodist churches and individuals, the late 1990's brought with it a parsonage and new church building. The congregation ebbs and flows with seasonal work as the island's population is ever changing. We are thankful for ongoing partnerships and support!